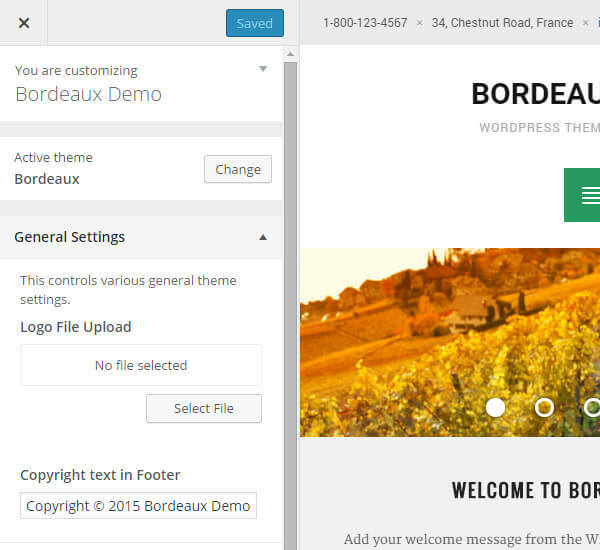 Below you will find information related to Bordeaux WordPress theme. In your Dashboard, go to HermesThemes > Theme Options. 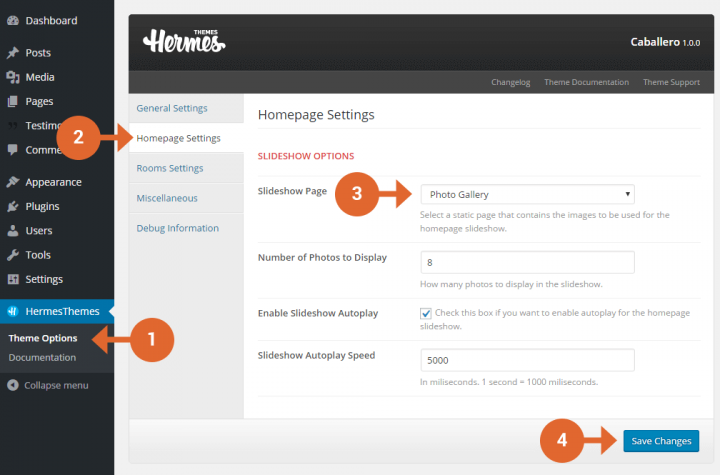 1400×450 – used for the slideshow on homepage and single post/page pages. 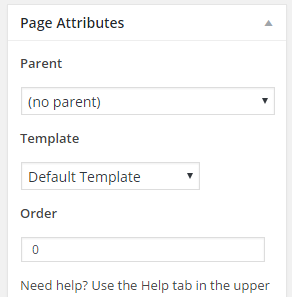 520×520 – used for the Featured Page widget. 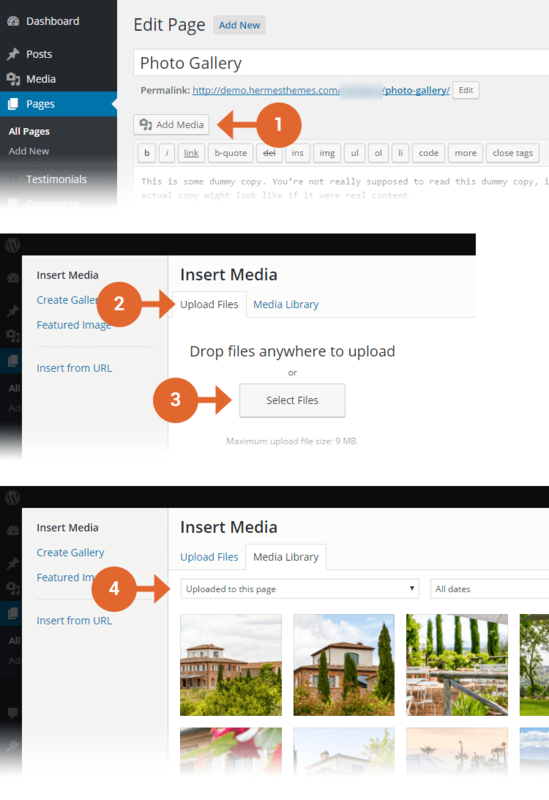 340×340 – used for the Featured Pages widget. 240×240 – used on archive pages. 1400×200 – used by the custom header images.